Randy L Allen is Associate Dean for marketing and corporate relations and consultant in residence. She is also an emeritus member of the Johnson School’s Advisory Council. As associate dean, she is responsible for marketing and communications, school brand, the career management center, corporate programs, Innovation Interface, and the school’s global strategy and initiatives. 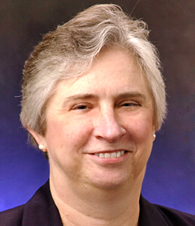 She co-led the school’s strategic plan development in 2008, under the direction of the Dean. She is a member of the management committee and serves on the board of Big Red Incubator. Allen is also a senior lecturer on the faculty. She currently teaches a management practicum course, in which students work with Fortune 500 companies on projects, with a short internship during the fall semester. She focuses her teaching in the marketing, global, technology and strategy disciplines, and also serves as an advisor and faculty leader in consulting activities at the school. Allen spent more than 22 years with Deloitte Consulting, focusing on consumer business and serving clients in the retail, distribution, consumer goods, and apparel manufacturing industries. Her consulting ranged from strategy, to technology, to operations. She is the author of Bottom Line Issues in Retailing, POS Current Trends and Beyond, OCR Cost Benefit Guide, and numerous articles and speeches in the industry. Most recently, she was with Kmart Corp. (Troy, Michigan) in a variety of roles, including senior vice president of strategic planning and business initiatives, executive vice president for strategic initiatives, chief diversity officer, and executive vice president of strategic planning and CIO. Allen was responsible for several notable initiatives involving infrastructure, supply chain, marketing, business analysis, and strategic planning, which resulted in considerable improvements in productivity and profitability. She was also chairman of the board of Bluelight.com LLC, Kmart’s initial joint venture and then subsidiary for ecommerce and Internet service. She led the restructuring of that business, putting it on the path to profitability. Allen previously worked for Phillips-Van Heusen Corp., Boeing Computer Services, and IBM. She holds a BA in physics from Cornell. Twitter, Microblogging Site’s Business Potential: What’s the Business Model?